October 1st, the beginning of a new month and no time like the present to start a month long read and challenge. 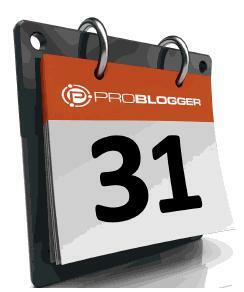 The book I’m doing is called, “31 Days to Build a better Blog” by Darren Rowsie. The Day 1 assignment is to create an elevator pitch for my blog. What is an elevator Pitch? An elevator pitch is a short summary used to quickly and simply define a product, service, or organization and its value proposition. Below is my elevator pitch for this very blog. Inkspotstories is where the story comes first! And that’s what this blog is. Where get the question answered, what story comes first. Be it stories from my own personal life which to my own opinions and thoughts on stories from around the world. As well, my blog doesn’t just tell the stories, it also be the central location for all my other creative projects from video to audio. So if you like a good story followed up with some good audio and video content, Inkspostories is for you because the story comes first. This challenge isn’t going to be easy to say the least but I hope you all enjoy the ride and let me know how this pitch sounds.